The Daily Show’s host, South African comedian Trevor Noah, stepped forward to praise Liam Neeson’s confession as “a powerful admission”. In the traditional Between the Scenes video, posted on the show’s account, Noah said that his whole story is treated like this because of “the way he said it”. According to Noah, a conversation like the ones they have on Oprah instead of a by-the-way remark in chitchat about a revenge movie would have had a different impact. — The Daily Show (@TheDailyShow) 8 февраля 2019 г. ​Another thing that makes people react to his story “a little more seriously” is that “people see him as the Taken guy", Noah pointed out. “I do think it was a powerful admission, though. I hope he and people who hear the story understand the gravity of what he’s saying and that is: ‘If you are not careful, you can have inside of you a hatred that is encouraged or grown by the society that you live in. And you don’t even realise how disgusting that idea is”, the host noted. Noah also defended him by saying that he thought it was “cool” that he asked for help on his own and felt ashamed without anybody telling him to. “For me, that's the world I want to live it. I want to live in a world where a person who said something like that is ashamed of it and they are telling it to you and you aren't catching them out”, The Daily Show’s comedian said. The host criticised Neeson’s damage control, however, saying the actor was making it worse by giving more interviews. He also concluded that just saying “I'm not racist at all” did not work. READ MORE: Oscar-Nominated Director Bashes Liam Neeson, Melania Trump for "White Privilege"
“So, you should be able to accept that 'yes, I was thinking a racist thought' but a lot of the time I think people are afraid to admit that they had racist thoughts because then society says you are 'racist forever' and that's it, so, there's no value in atoning, I guess”, he said. Liam Neeson’s promotion work of his new movie turned into PR-hell for the Hollywood actor, who once portrayed industrialist Oskar Schindler, a man who saved over a thousand Jews from the Nazis. In an interview with The Independent, Neeson opened up about disturbing thoughts from 40 years ago, wanting to commit a racially targeted murder after learning that a female friend of his had been raped by a man that she described as “black”. Neeson confessed that he quickly realised that his thoughts were "horrible", but the interview had already triggered an avalanche of racism accusations. His later attempts to dispel the accusation did not help ease the uproar. 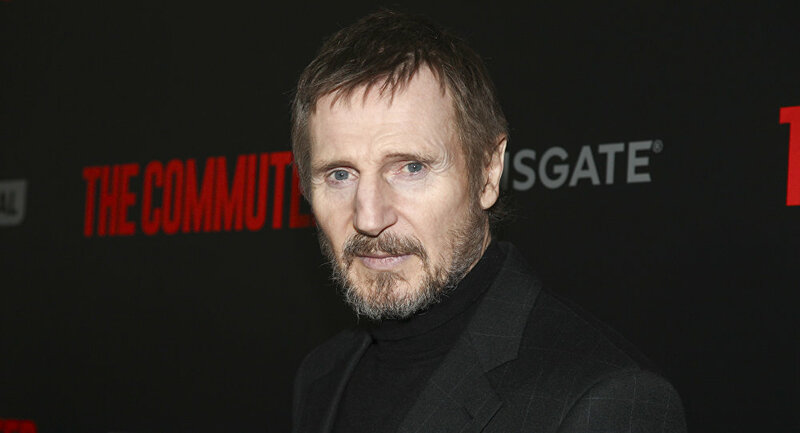 While the actor pulled out from one of the US late night shows, the movie studio Lionsgate axed Tuesday night's red carpet event for Liam Neeson's Cold Pursuit in wake of the scandal. However, several celebrities have defended the actor. Michelle Rodriguez has stood up for her Widows co-star, 66-year-old Liam Neeson, calling any allegations that he is racist “f**kin’ bulls**t”. She argued that a racist would not be able to make out with someone belonging to a race that they hate, as Neeson kissed fellow actress Viola Davis with his tongue “so far down her throat". Whoopi Goldberg also dispelled any allegations that Liam Neeson is "a bigot". “People walk around sometimes with rage. That’s what happens. Is he a bigot? No. I’ve known him a pretty long time, I think I would have recognised. I’ve been around a lot of, er, real bigots”, she said on American talk show The View.